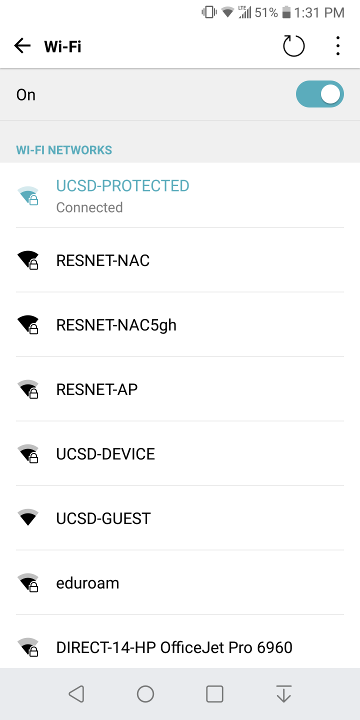 Follow these steps to set up your Android device running Android 2.0.x and above to use WPA2-E encrypted wireless at UCSD. 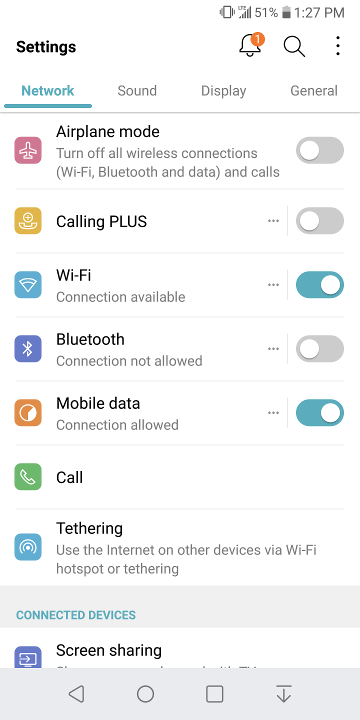 An Android device with Android 2.0.x or above installed. For CA certificate leave as N/A. 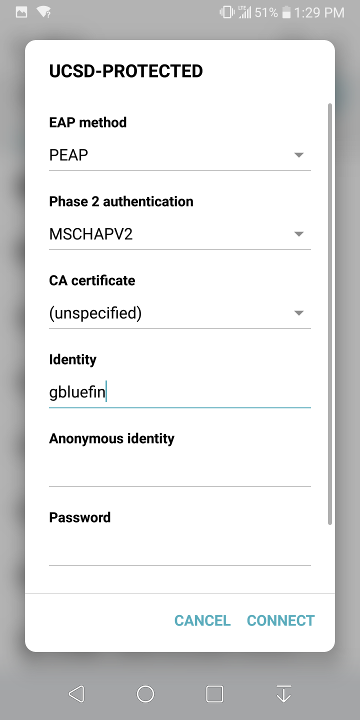 Note: Android 9/Pie users will see a notice indicating the connection is not secure. This may be ignored as a certificate is provided by the wireless controllers. Identity field: Enter your Active Directory username. Wireless Password field: Enter your Active Directory password. 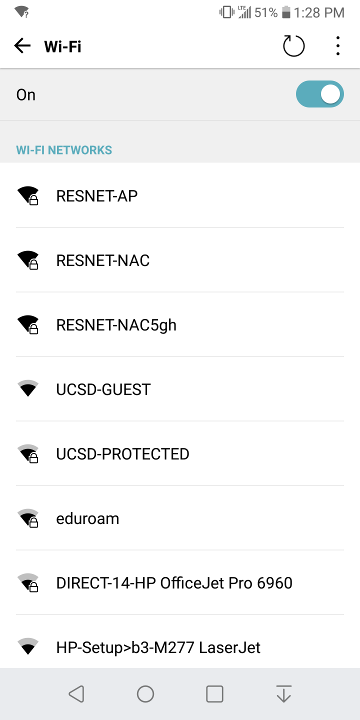 Under Wi-Fi, you should see Connected to UCSD-PROTECTED.